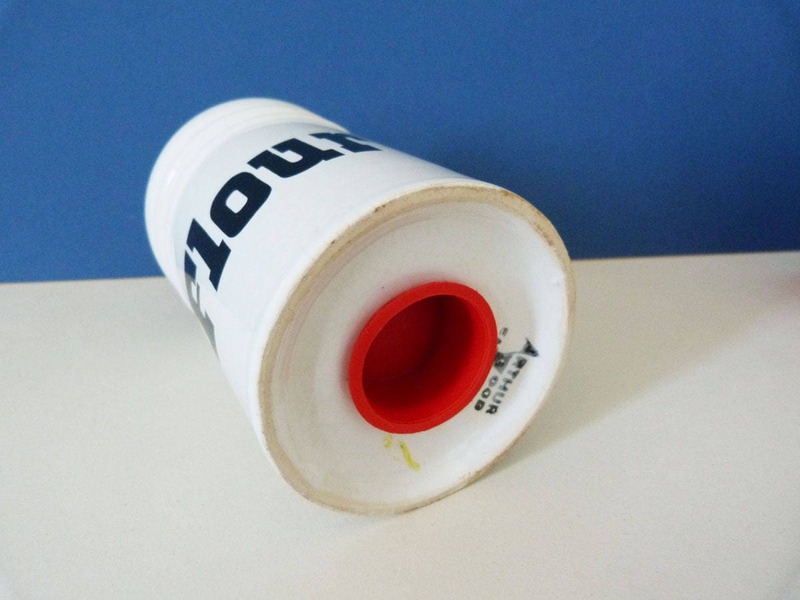 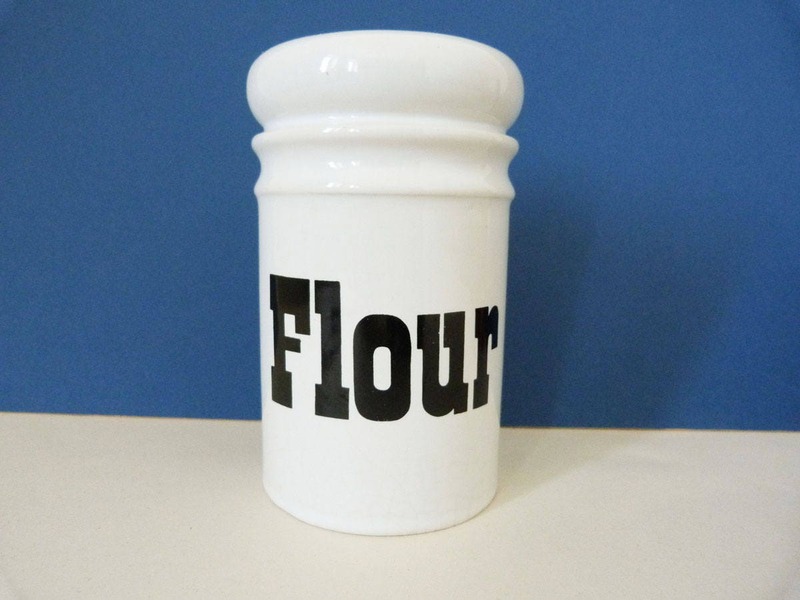 1970's Flour Shaker by Arthur Wood, Featuring a classic funky type font. 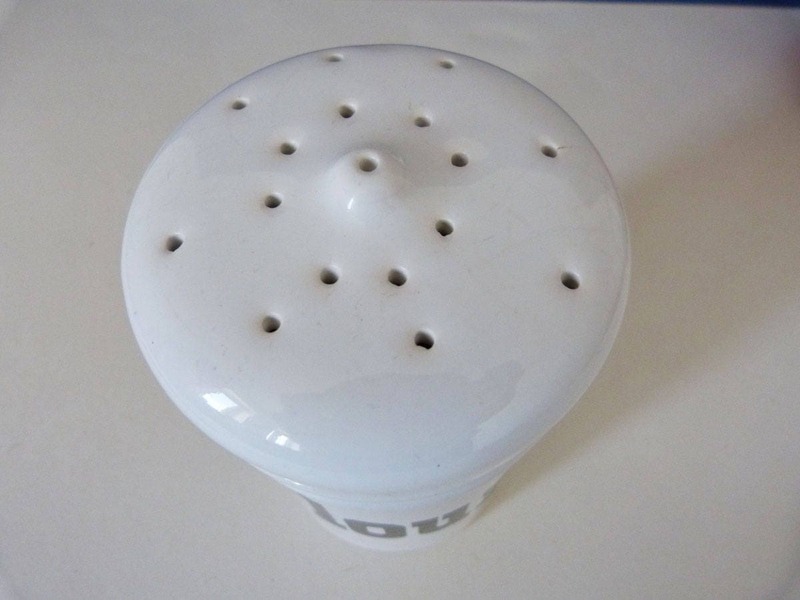 In good condition, there is some crazing to the glaze, but this does not deter from this lovely item. 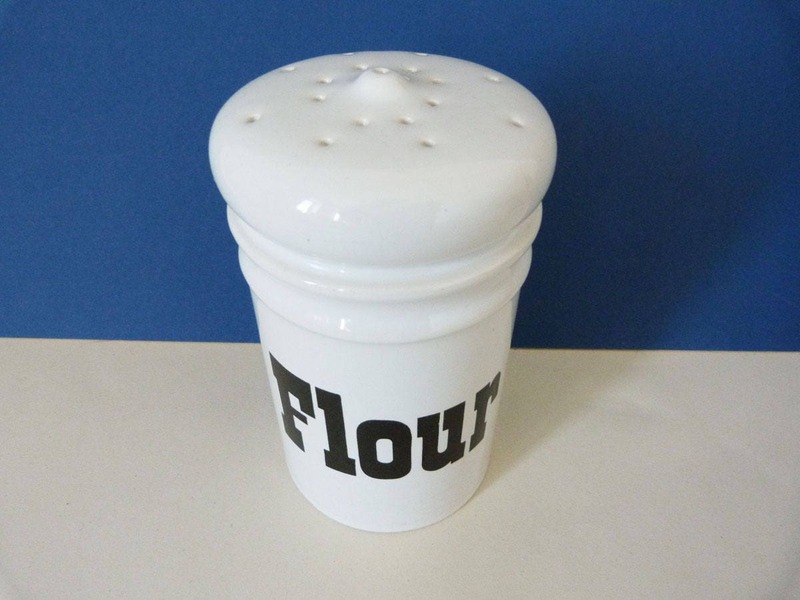 A great chunky shaker, just what you need when your hands are covered in Flour. 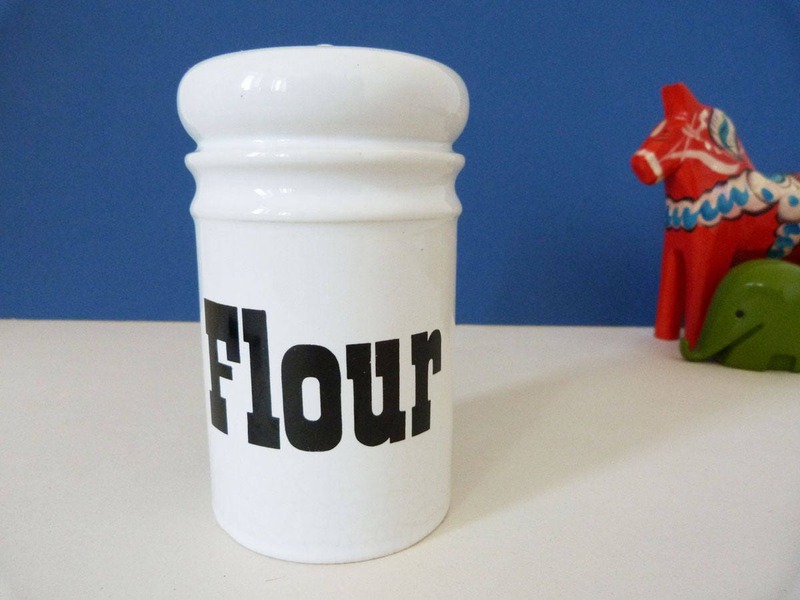 9cm Diameter x 14cm tall.